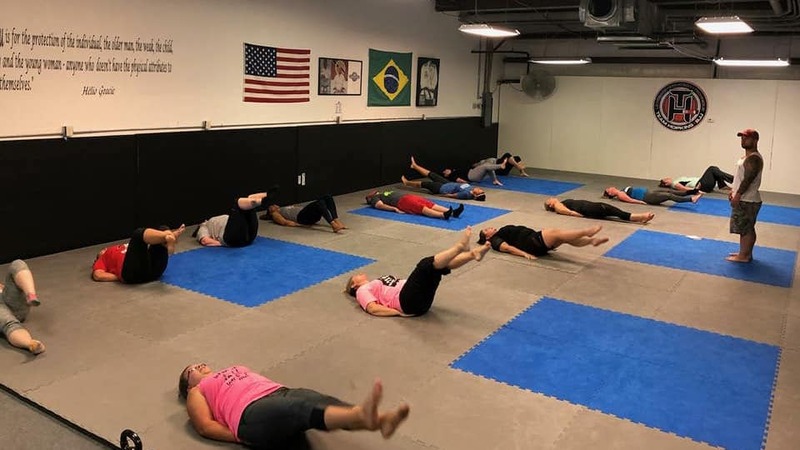 At Gracie Jiu Jitsu Cabot, we're excited to offer you a dynamic Group Fitness program that keeps your body guessing and can produce incredible results in no time. Whether you're a complete beginner or an experienced athlete, we're here to challenge you with a combination of body weight exercises, strength building movements, and cardiovascular endurance training. Take the first step today. Just fill out the short form on your screen to get started! What Can You Expect In Our Group Fitness Program? Our goal every day is to offer a cutting-edge approach to fitness training with high-energy exercises and dedicated support. Unlike a lot of the routines that you've probably seen in the past, we're helping you stay motivated with classes that are always changing. We keep your body guessing and your muscles moving from start to finish. And we help you walk away feeling like a million bucks. We all know how important it is to stay active and keep our bodies moving. But all too often, it seems impossible - or at best difficult - to maintain that routine. At Gracie Jiu Jitsu Cabot, we're helping you get excited about our Group Fitness training with a cutting-edge routine. And in no time, you'll notice the impact in every aspect of your life. Take The First Step Today! Join Us Now For The Best Group Fitness Classes In Cabot! If you're ready to make a change to your fitness routine, we've got the answer at Gracie Jiu Jitsu Cabot. Our Group Fitness Classes are perfect for men and women of all ages and experience levels.